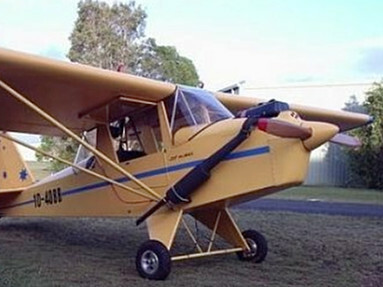 The same basic airframe as the 1100R, but for pilots who prefer high-wing aircraft with an enclosed cabin. Powered by a 2-cylinder 2-cycle engine. Experimental Amateur-Built catagory. Available as plans-only, sub-kits and complete standard kit. Here's a sure formula for a winning airplane. Take one or more parts from an already proven design, add a few parts for creature comfort and/or customer preferences, mix together with a solid team and you have a sure-fire winner! A wrap-around windshield of Lexan makes for excellent visibility and comfortable flying. 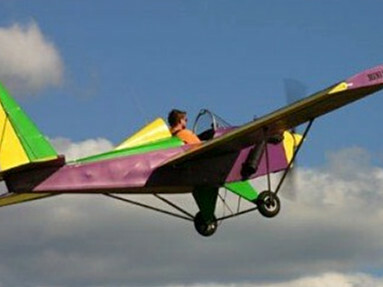 Optional windows are removable for open-air flying in the summer. 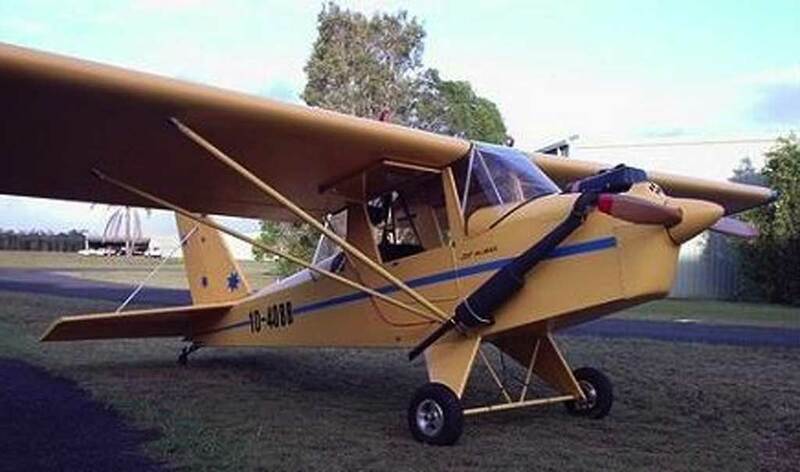 For power we recommend a Rotax 447, or any engine up to 45 hp. Wood was chosen as the basic building material. It is easy to work with, dependable in its strength characteristics, and is not bothered by the vibrations associated with 2-cycle engines. 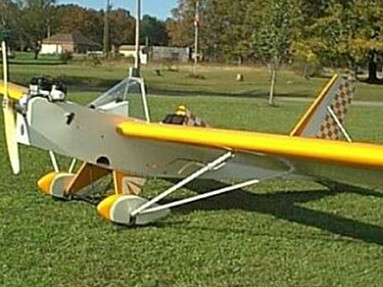 If you have ever built a balsa-wood model airplane, you have the experience required to build this full-scale model! While construction time will vary from builder to builder, approximately 300 hours is the average. 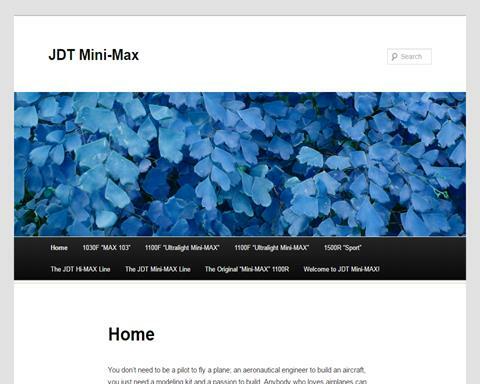 The Hi-MAX design is available in the configuration shown below. Click on the link below to see specifications and kit prices for the Hi-Max 1700R. 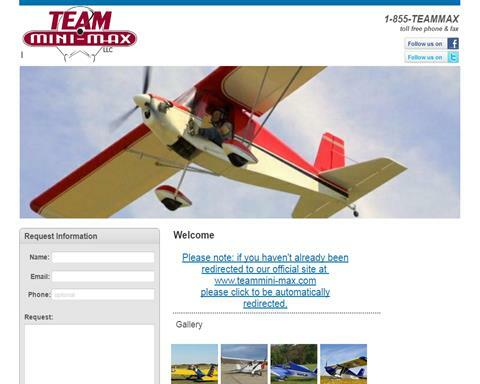 Please see Team Mini-Max LLC A true light aircraft requiring minimum building space, minimum time or skill... Yet provides maximum pleasure and performance.